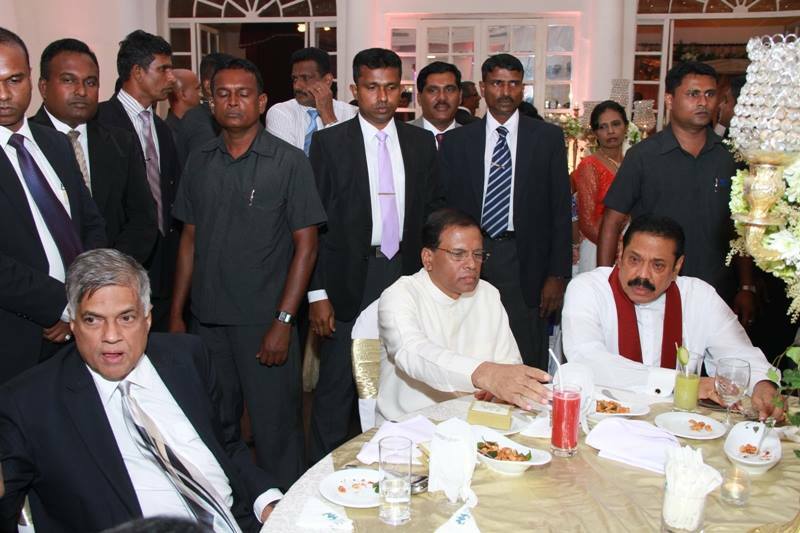 Post-poll manouvers in Sri Lanka: Can politics be dirtier than this? The outcome of last week’s local government elections, one that had elicited unprecedented interest both locally and internationally, sent shock waves through the Sri Lankan polity. And the initial phase of the domino effect it has had on the political front is already beginning to be felt. Given the degree of frustration and anger over the dismal performance of the National Unity government led by President Maithripala Sirisena and Prime Minister Ranil Wickremesinghe, the voting pattern wasn’t exactly unexpected. The February 10 polls was the first opportunity Sri Lankans had to exercise their franchise in a nationwide election after the 2015 Presidential and Parliamentary elections. And the voters used it as a referendum on the performance of the Nastional Unity Government under the two leaders. Nobody expected a good performance from President Sirisena’s faction of the Sri Lanka Freedom Party (SLFP). 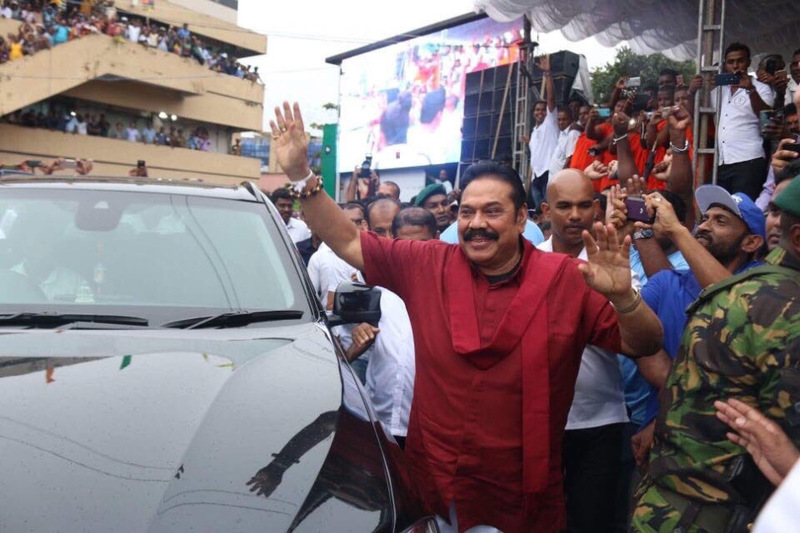 But, what was totally unexpected was the landslide victory registered by the Sri Lanka Podujana Peramuna (SLPP), a new political party formed a mere 14 months ago, backed by former President Mahinda Rajapaksa and the MPs of the Joint Opposition he gave leadership to. Prime Minister Wickremesinghe had hoped that a divided SLFP would be highly advantageous to his United National Party (UNP) and that capturing many local authorities would be a cakewalk for his party. That hope was dashed to the ground overnight, leaving one to marvel over the fact that not only has a new party emerged as the most popular political formation, but that it has also comprehensively established its political supremacy pushing the country’s two main parties to a distant second and an even more distant third place in the very first election it contested. Former President Rajapaksa in a statement issued a few weeks before the polls requested the voting public to set aside all other considerations and cast their vote solely on the basis of being either in favour of or opposed to the present UNP -SLFP Unity Government. The manner in which people outside the North and East voted clearly demonstrated that an overwhelming majority in the South were thoroughly disappointed and frustrated by the performance of the government. However, whether the outcome of the elections can be interpreted as the peoples’ desire for an immediate return of Rajapaksa rule is anybody’s guess. The government leaders unwittingly pushed themselves into an unenviable position, making it impossible for them to seek the people’s endorsement as a united force. Leaders of the main parties of the unity government relayed disturbing and disparate messages, even to their supporters, by way of their actions and accusations during the election campaign. Wickremesinghe talked of his desire to continue the unity government by a possible renewal of the Memorandum of Understanding (MoU) between his party and SLFP after the elections. But Sirisena declared he could form an SLFP government anytime if the 96 MPs of United People’s Freedom Alliance (UPFA) stood united with him. Now after the crushing defeat, both the President and Prime Minister are struggling to determine their future course regarding governance. It is pathetic that two leaders, who promised the people they would create a new political culture just three years ago, have returned to the old acrimonious party politics so quickly and are hell bent on ditching each other for political expediency. Both of them are facing trouble retaining their leadership positions in their respective parties. The Prime Minister is asking the President to allow his UNP to form a government on its own and rule the country for the remaining years of the present Parliament. But the President is urging the Prime Minister to step down and make way for a new PM from his party. Of course Wickremesinghe is not ready to do that. The President’s manoeuvre brings up a valid question. How is it, that the President, whose party came third at the hustings, has no qualms about asking the leader of the party which came second, to go home? Now both the UNP and the UPFA led by SLFP are trying to find new allies and form a government on their own. At the same time a committee comprising senior leaders from both parties were trying to find ways and means to end the political gridlock. The political situation is so fluid that one cannot predict what would happen a minute later. The situation is further compounded by the fact that Parliament cannot be dissolved before the lapse of four and a half of its five year term according to the 19th Amendment to the Constitution brought by the present government almost three years ago. At the same time, former President Rajapaksa has demanded an immediate dissolution of parliament and elections to enable the people to elect a government reflecting the new political scenario that emerged after the February 10 polls. He has openly declared he does not want to become Prime Minister, even in the event of the formation of a government by a united UPFA under the composition of the present Parliament. He is of the strong belief that if a general election is held at present, capturing power would be a cake walk him and his SLPP. If a parliamentary election is announced now, there is no doubt that almost all the SLFP ministers and MPs who are with the President Sirisena will switch their allegiance to Rajapaksa to ensure a political future for them. In this complex situation, what is extremely distressing is the diminishing hope for the resumption of the constitution making and reconciliation process. Earlier, Prime Minister Wickremesinghe had said the process would resume after the elections and they would strive to bridge the gaps in the suggestions in the interim report of the Steering Committee of the Constitutional Assembly, put forward by different parties and groups. It is difficult to imagine the Prime Minister even beginning to talk about constitutional reforms in the emerging political landscape. Though the pathetic performance of the main partners of ‘Yahapalanaya Government’ can be attributed to their dismal governance, the stand taken by the former President Rajapaksa and the majoritarian nationalist political forces aligned with him, with the overwhelming support of Buddhist monks regarding the constitutional making process, also played an important role in the outcome of the elections. Some political analysts and newspapers have now advised the former President of the necessity of winning over the minorities, not only in the North and East, but also in other parts of the country. But an important question arises as to whether Rajapaksa and his new political party will be able to retain the overwhelming support of the Southern electorate if he tries to soften his hard-line position regarding the ethnic imbroglio. One cannot expect the political players in the South to talk about constitutional reforms that ensure a meaningful political solution to the national question and the abolition of Executive Presidency in the foreseeable future. One foreign journalist based in Colombo jokingly said to this writer that whatever is said and done, the ultimate winner in Sri Lankan politics is former president JR Jayewardene, because the constitution masterminded by him is not going to be changed in the foreseeable future and the office of Executive Presidency will have a long life.